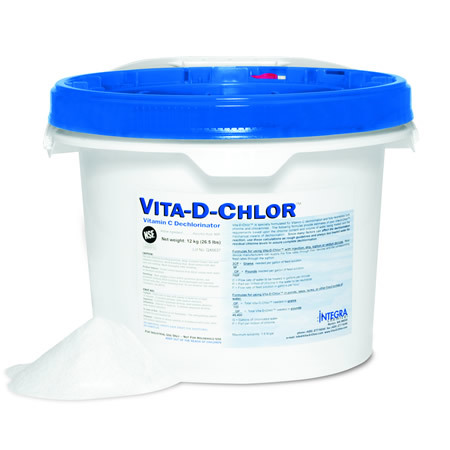 Vita-D-Chlor Granular is used for potable water dechlorination when a liquid application is desired. Solutions up to a 10% concentration can easily be made in the field. 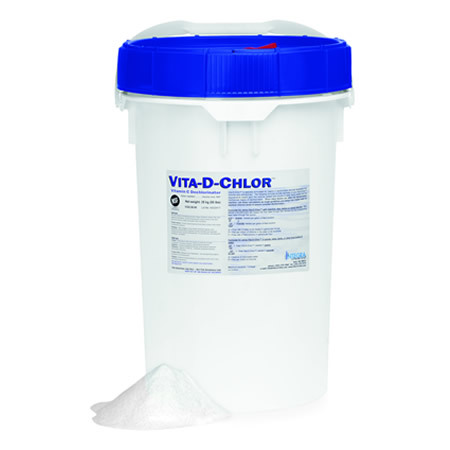 Higher concentrations are possible when warm water and mixing capabilities are available. Concentrations of 5–10% have good stability for about two weeks without appreciable degradation.